Did You Get a Ticket in Los Angeles County, California? You can fight a Los Angeles traffic ticket by getting them dismissed much easier than you may think. In Los Angeles, California, drivers are allowed to contest a traffic ticket using a Trial by Written Declaration. This is best way to fight a traffic ticket without going to an LA courthouse or hiring an expensive Los Angeles traffic ticket lawyer. We have found this to be the best way to contest a California traffic ticket, period. This option is available to every driver who receives a traffic ticket in Los Angeles, California. In fact, if you turn over your traffic ticket you will see that a Trial by Written Declaration is listed right on the back of your ticket as one way to fight it. This process has been around since 1978 to avoid having to pay traffic ticket fines. TicketBust has been helping California drivers who get an LA traffic ticket prepare Trial by Written Declaration’s for over 14 years. In fact, tens of thousands of vehicle tickets in California have been contested using our system. We are the original traffic ticket fighter and the TicketBust system has been developed specifically to prepare all your documents properly based on how you answer a few questions. This way you can fight your ticket, knowing you have maximized your chances of having the court dismiss your LA County traffic ticket. When you contest a ticket using a Trial by Written Declaration not only don’t you need to go to court, but you don’t even need to take traffic school if the ticket is dismissed. If the ticket is dismissed, no point will appear on your driving record and the bail will be refunded to you in full. Then, if the ticket is not dismissed and you are eligible for traffic school, then you should still be eligible after a Trial by Written Declaration. TicketBust service will prepare your full defense package for you, which includes your Trial by Written Declaration and all the defense documents required by Los Angeles traffic court. Fill out the yellow form to fight your LA traffic ticket now! California Violation Code 22406 – Exceeding 55 mph commercial truck driver speed. You may be surprised to know that commercial truck drivers include a much larger group than just “big rigs”. The list includes: a motortruck or truck tractor with 3+ axles or that is towing another vehicle, a passenger vehicle, school bus, farm labor vehicle with passengers, any vehicle transporting explosives, or a trailer bus. This is one of the most common LA traffic tickets because of the amount of commerce that occurs in Los Angeles. Hundreds of thousands of commercial trucks go down LA freeways everyday — and drivers get these tickets way to often! Did you know that you aren’t allowed to pass the white limit line when you are stopped at an intersection? From our experience, this can be a common ticket issued in the county of Los Angeles, so be on the lookout and stay behind that solid white line. This is a surprisingly expensive la traffic ticket, so trust us — don’t pass the limit line! The first European contact in the area was in 1769 when Gaspar de Portola and a group of missionaries camped on what is now the banks of the Los Angeles River. In 1781, a group of 11 families traveled to the area to establish a new pueblo, El Pueblo de la Reyna de Los Angeles (The Pueblo of the Queen of the Angels). Over time the area became known as the “City of Angels.” By the 1840s, Los Angeles was the largest town in Southern California. When the county was originally formed in 1850 as one of the first counties in California, the county spanned 34,520 square miles along the coast between Santa Barbara and San Diego and sprawling east to the Colorado River. Yet, portions of the county were given to Kern County in 1851, San Bernardino County in 1853, and Orange County in 1889. Today the county stretches 4,084 square miles. Los Angeles is the most populous county in the United States, with more than 10 million residents. In fact, its population is larger than 41 individual U.S. States. The County is home to a quarter of California residents and is one of the most ethnically diverse counties in the United States. 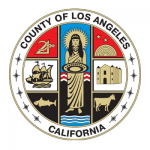 Los Angeles County is also the largest non-state level government entity in the United States and it is the third-largest metropolitan economy in the world, with a nominal GDP of over $700 billion. The county is most commonly associated with the entertainment and digital media industry, but other industries of the area include international trade, music production and recording, aerospace and defense, as well as many professional services including law, medicine, and financial services. Visitors from all over the world travel to Los Angeles each year to visit iconic beach-side locations like Venice Beach, Santa Monica’s pier, or the Pacific Palisades where the television series Baywatch was filmed. Los Angeles County is also known for the annual Rose Bowl Parade in Pasadena and the Museum of Tolerance, Universal Studios Hollywood, and Griffith Park all located in the city of Los Angeles. Unfortunately, a Los Angeles county traffic ticket is also a pretty common occurrence for these people. But, don’t worry, we can help! Give us a call or fill out the form to get started. If you’ve been to any courthouse in Los Angeles in the last decade, you know that the long lines and wasted time are only getting worse. Here are the links to the courts you may need if you get a traffic ticket. But, we strongly recommend that you fight any Los Angeles traffic ticket by using our proven process. We utilize the right information needed to properly submit a trial by declaration and get your LA county traffic ticket dismissed.